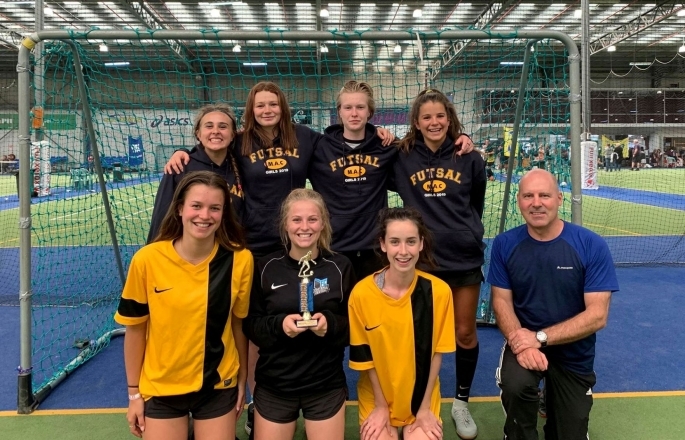 On Friday, March 8, Mount Aspiring College teams took out three titles at the 2019 Otago Secondary School Futsal Championships. MAC took five teams to this year's tournament: Junior Girls, Junior Boys, Senior Girls B, Senior Girls A and Senior Boys. The Junior and Senior B Girls both finished a very well- earned third place in their grades. The Dunedin schools have a regular school competition and play every week where MAC teams do not, which makes their achievements even sweeter. The Junior Boys performance held the biggest surprise from the MAC contingent. They finished fourth after the round robin rounds and found themselves in a fourth-versus-first battle in the semifinals. A courageous effort saw them take out that game and move on to the finals, which they won to become the Otago Junior Boys Futsal Champions. The MAC Senior Girls A futsal team - Kiara Berceli, Phoenix Brownlie, Annabel Carter, Josie Plimmer, Aimee McArthur, Fiona Murray and Tessa Treadwell Burke - were very proud to finish as the Senior Girls champions at the tournament. They went through their pool undefeated with three wins from three games. Then they won their semifinal game 7-1 to meet Otago Girls High in the final. The final was a very exciting game, with Otago Girls scoring two early goals against the locals to really put the pressure on. But MAC responded well, pulling back a goal before half time. There were more goals from both teams in the second half, but MAC finished the strongest, scoring the final two goals late in the game to win 6-4 and claim the championship. The MAC Senior Boys have placed second two years in a row and 11th in country last year at the New Zealand Secondary School Futsal Championships. They got through their round robin undefeated beating Timaru High School 9-5, Otago Boys High School 4-0, Logan Park High School 7-0, Bayfield High School 4-3, Kavanagh College 10-3. They met Bayfield High School again in the final. Unlike their round robin match which was a hard and tight contest, the final was a one-way affair and the MAC Senior Boys were always in control. They never looked like losing the match and the final score was 7-1 (with MAC scoring all eight goals as Bayfield's was an own goal by MAC). MAC was crowned the Otago Senior Boys Division One Secondary Schools Champions. MAC head boy Fletcher Cavanagh did a great job of leading the team of Toa Roode, Weston Bell, Michael Gealogo, Lukas Schafer, Levi Fletcher, Ethan Arratia, TJ Lilly, Flynn Brown, Jacob Lang. 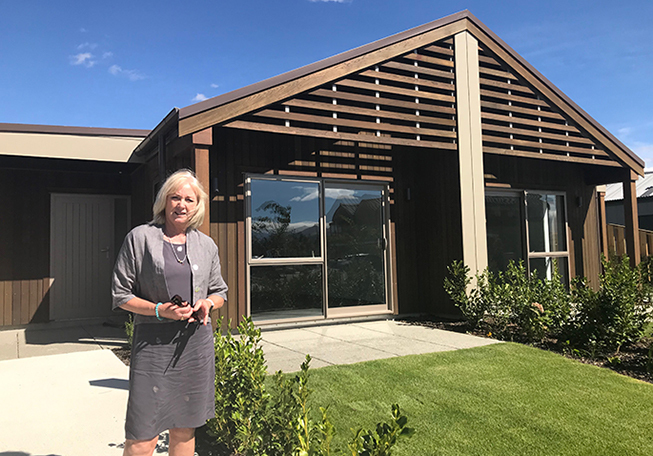 Now the team is setting its sights and focus on this year's New Zealand Secondary School Futsal Championship in two weeks, which is in Wellington. The MAC teams would like to thank all their supporters, coaches and managers in helping to make this a very successful tournament.